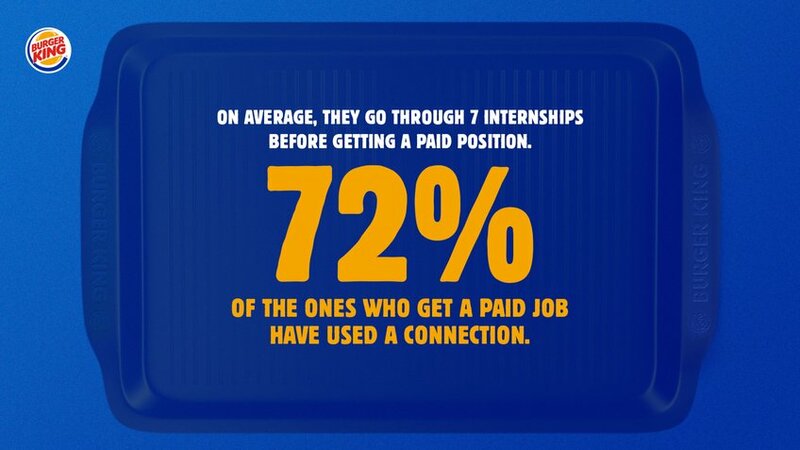 To get a paid position is very tough for millennials. 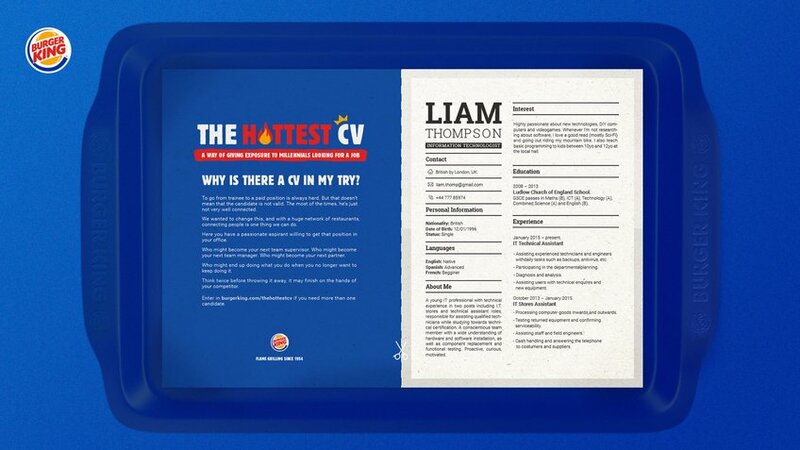 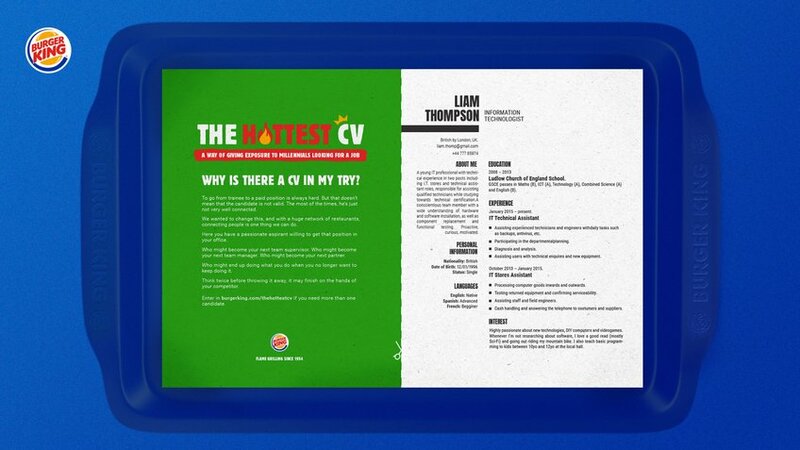 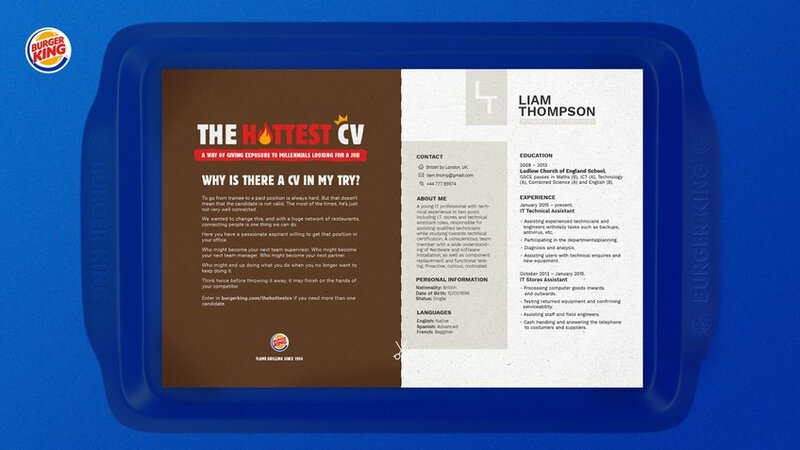 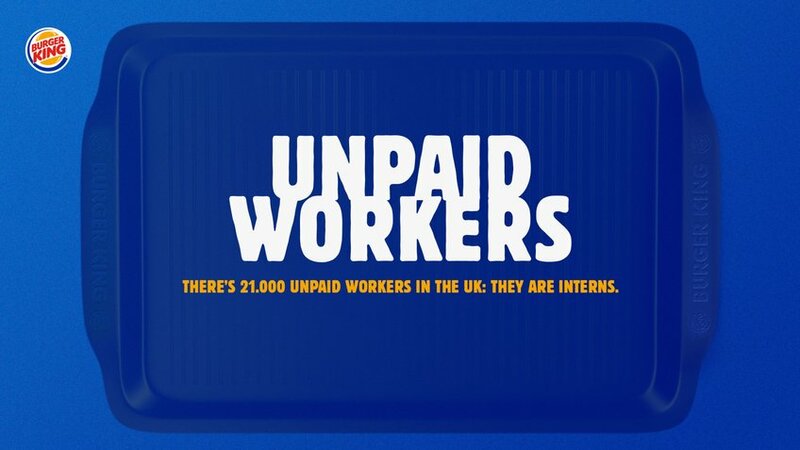 We'll help them by offering exposure of their CVs through one of the most-read media: the paper tablecloth in our trays. 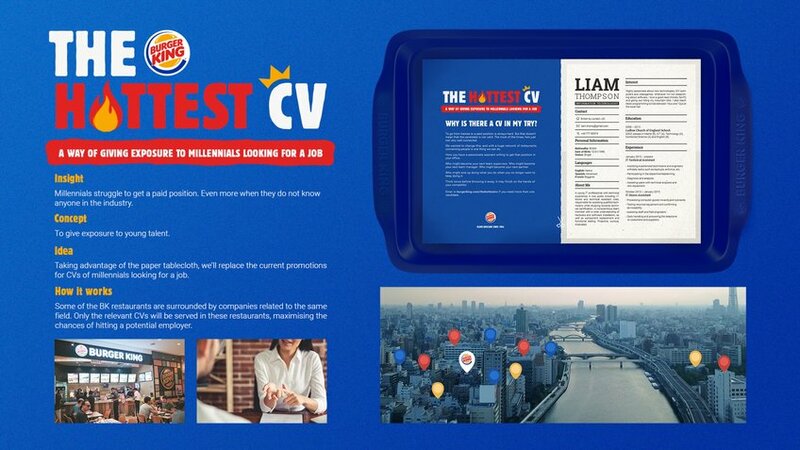 These CVs will be served in the relevant restaurants, the ones surrounded by companies related to the same field, and in this way will match candidates and their desired positions.